The track and field athletes look to the Skyland Conference Championships today after a very successful showing at the Prep B Championships, which were held yesterday at Newark Academy. 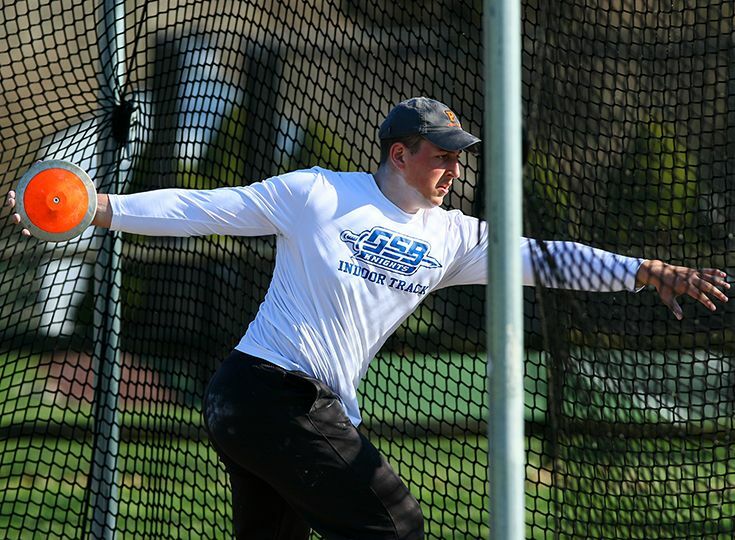 At the Prep B championships, the boys' squad swept both the discus and the shot put, taking the top three spots in each event. In discus, Princeton-bound CJ Licata led the way, throwing 181-01 to set a meet record, followed by junior Jack Feldman with 127 and freshman Matt Raymonds with 90-03. Licata also took the top spot in the shot put with a throw of 62-06, followed by sophomore Luca Del Vescovo with 38-05 and Jack Feldman with 35-10. Junior Mark Rusus also earned a first-place finish, throwing 124-00 in the boys' javelin event. Other top-ten finishes for the boys' squad included freshman Travian McNair placing eighth in the long jump. In track events, junior Matt D'Ovidio took seventh in the 3200-meter, and in the 1600, sophomore Niels Rongen placed eighth and D'Ovidio tenth. The boys earned three top-ten spots in the 800-meter: Rongen in sixth, freshman Andrew Young in seventh and freshman James Koether in eighth. In the 400-meter, freshman Sohan De Silva took sixth place, and freshman Max Mullen took eighth; Mullen also finished tenth in the 200-meter. For the girls' team, sophomore Anna Mikula earned fifth in the javelin with 72-02. In the long jump, junior Eve Ryan took sixth-place with 15-10, and junior Lily Fischer just missed a top-ten finish in that event, taking 11th place with 14-02. Congratulations to all of our track and field athletes and good luck at today's Skyland Conference Championships.